It may break your heart to see your beloved pets whiten around the muzzle, struggle to stand, or even not be able to play the way they used to, however take comfort in knowing that advances in Veterinary Medicine now help pets live longer, healthier lives. New diagnostics, better vaccines, increased parasite control, and broader treatment options are all at our finger tips. Caring pet owners have increasingly shown that they want what is best for their pets. These furry creatures are now part of our families and sometimes it seems that their time with us is all too short. Aging is not a disease. Older dogs and cats can live long and happy lives with senior check-ups, savvy pet owners and lots of TLC. Addressing this concern, the team at WestVETS has always been committed to a program designed specifically for pets 7 years of age and older – our ‘senior citizens’. We can’t stop the aging process, but we can delay certain issues, alleviate pain and extend lives with early detection, advanced nutrition and new treatments. In an effort to extend your pet’s life and optimise their quality of life, we recommend that any pet 7 years of age or older schedule an appointment with one of our Vets. Why are check-ups important? Common age-related concerns include osteoarthritis, heart disease, kidney disease, dental disease and diabetes. If caught early, we can in some cases cure these disease or delay its progress. This not only keeps your pet free from pain and discomfort, it also gives you more time to enjoy your pet. She/he looks healthy; should I still schedule an appointment? Yes! Spotting health risks early is the key. Some pets, especially cats, instinctively hide their pain so that you may not see that they are sick until the illness is more advanced. Keep your pet’s weight down. 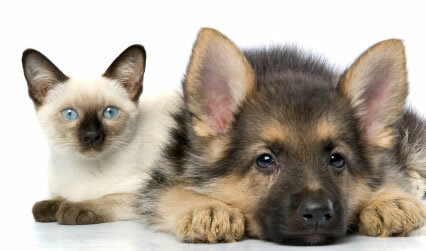 Feed your pet a diet formulated for seniors. Keep your pet’s teeth in tip-top shape. Have frequent check-ups. Early intervention is essential. Putting your pets on the road to good health with a senior check-up comes with many rewards. Rememer – prevention is always the best medicine. Phone us to discuss the topic further or to make an appointment with one of our friendly Vets.